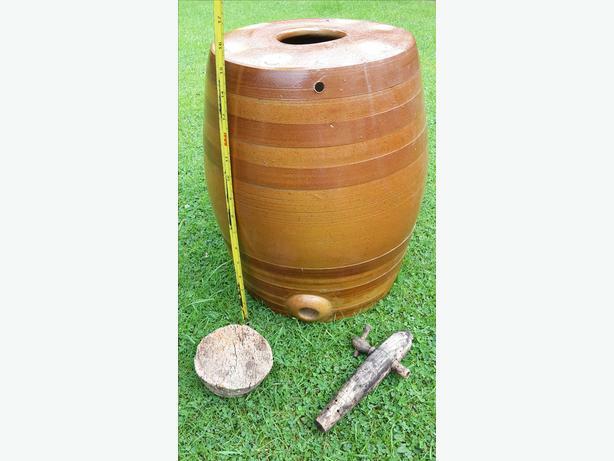 Vintage Stoneware Barrel, with original cork top and wooden tap. In excellent condition. Would look great as a garden feature or decorative in the home or business. Approximately 15.5 inches high, by 11 inches diameter. Contact me for viewing and collection.